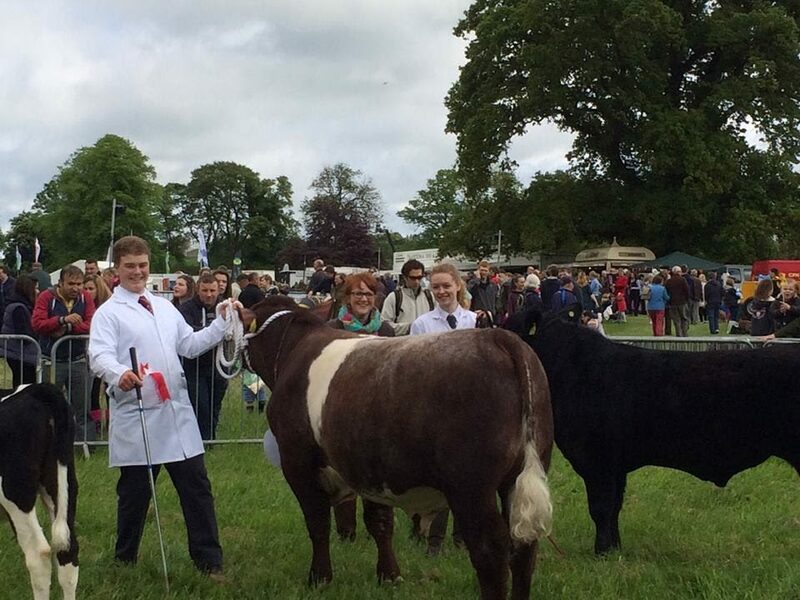 The Highland Wagyu Shorthorn team had an ‘Extra Special’ day at The Fife Show at Kinloss Farm near Cupar on sunny Saturday, May 24th. 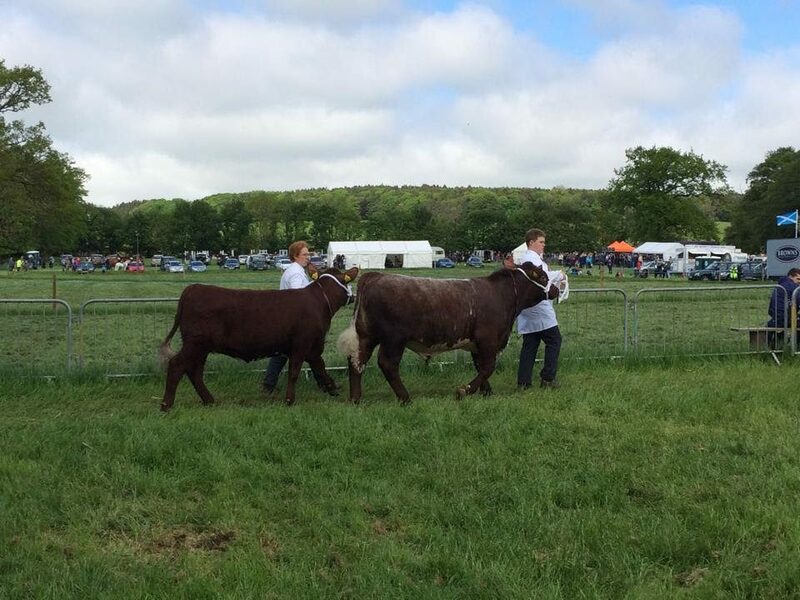 Shorthorn bull Quoiggs Extra Special (pictured above with focussed HW herdsman George McCulloch) lived up to his name, making second in his class, reserve male, reserve overall champion as well as Best Animal Bred by Exhibitor and taking home the JBW Smith Shield. Meanwhile his little sister Mohmar Georgina was second in her class and reserve female champion. 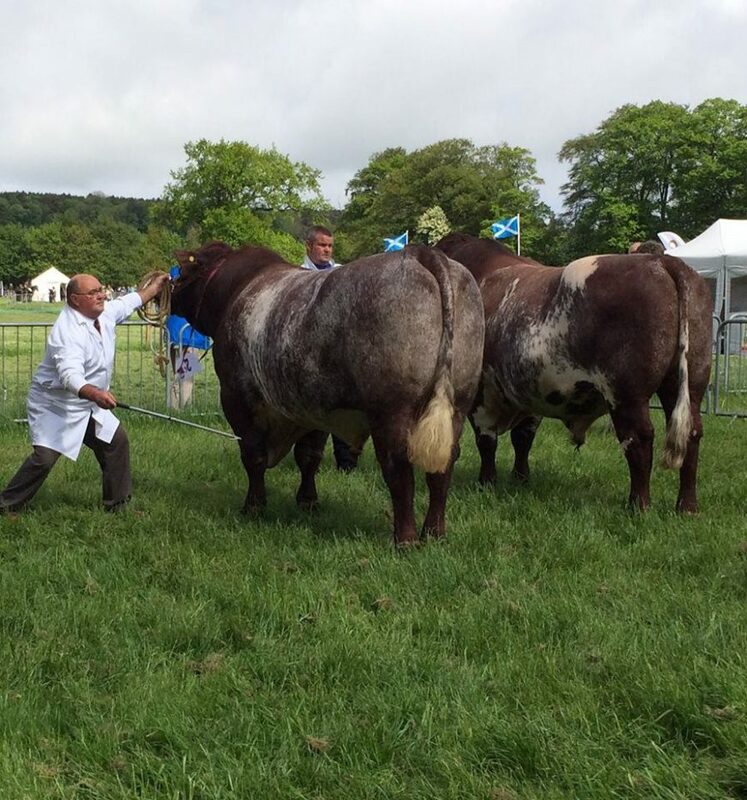 And yearling bull Mohmar Genghis Khan was second in his class with handler John McCulloch (pictured below) winning his young handlers class, overall young handler as well the NE Farmers Young Handlers Trophy. Mohmar Georgina and Mohmar Genghis Khan also won the pairs, with John and his mum Maureen leading them to victory in the show ring (below). 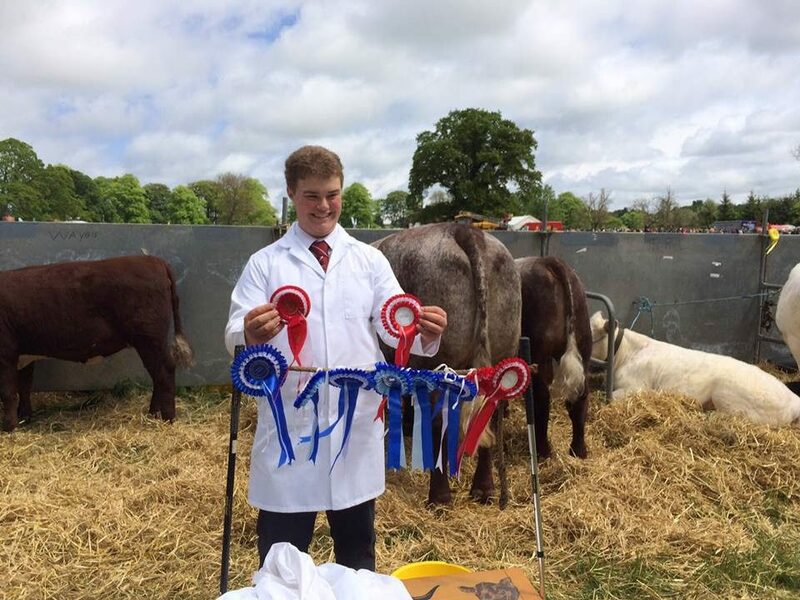 Here’s John looking delighted with all the rosettes. Well done team – what a family!